Emily Lang is a printmaker who specialises in the creation of artist books. Stories and music from traditional culture are central to her work, and she combines intricate motifs and figurative forms to make artist books and prints using relief print, lithography and monotype. She is from Cambridge, and studied Illustration and Book Arts at Cambridge School of Art, and Fine Art at The University of Edinburgh. 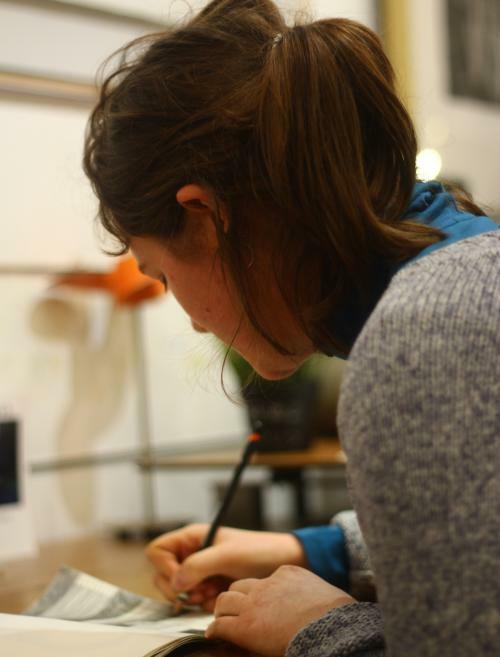 Emily was in residence in the studio of printmaker Thomas Godin in Landerneau, Brittany in 2018. She has taught printmaking and bookbinding to students of all ages.